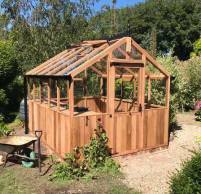 If you already have a level or nearly flat site it is an ideal place to position your greenhouse as it will be easier to achieve a good floor area for the foundations.The type of base you choose depends on your gardening needs. 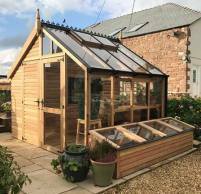 This guide should help youto choose what is best for you and give you some handy tips on how to achieve the perfect base for us to install your new greenhouse upon. 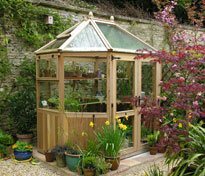 Please be aware that overhanging trees can damage a greenhouse and to reduce the risk it is recommended to avoid such an area. 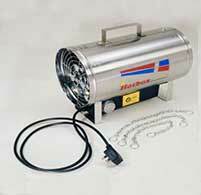 However if this is not possible do not worry as pruning provides a solution to the problem. 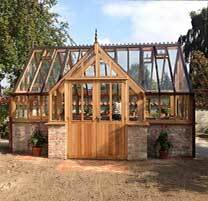 Other considerations may be that the area you wish to site your greenhouse in is subject to Planning permission. 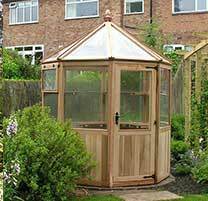 Our guide below should help you to decide the best place for your greenhouse. 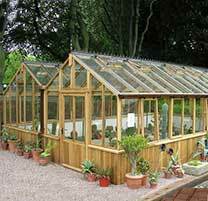 The greenhouse must be single storey. 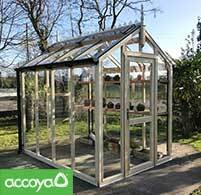 The maximum allowed eaves height is 2.5m and maximum ridge height of 3m for a lean to structure or 4m for a freestanding greenhouse. 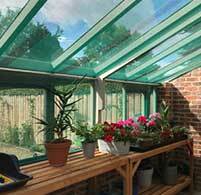 If the greenhouse is within 2m of the boundary of your property, the maximum allowed height is 2.5m. 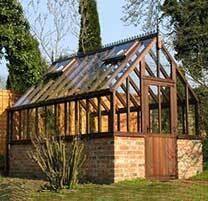 The greenhouse must be sited so that it is not forward of the front elevation of your house. 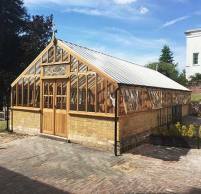 The area of the greenhouse must not cover more than half of the land around the original house, which is the house as it was in July 1948, or when it was originally built if your property is not as old as this. 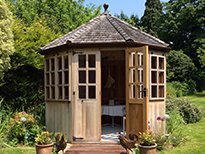 You may need to check the original house deeds to ensure that there have been no extensions by previous owners. 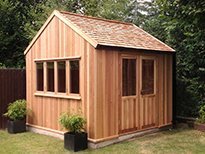 In Areas of Outstanding National Beauty (AONBs), National Parks, World Heritage Sites and the Broads, Planning permission is required for all lean-to structures. 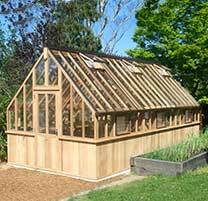 All greenhouses sited 20m or more from your house in these areas are subject to a restriction on their area, which must not be more than 10 square metres. 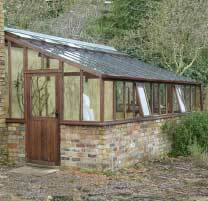 If your property is listed, Planning permission must be sought for all structures. If you are not sure about any of this, then we recommend contacting your local authority, who should be able to advise you. 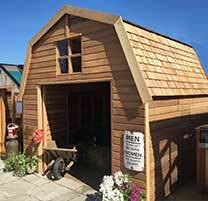 If you do need Planning permission, don’t worry. 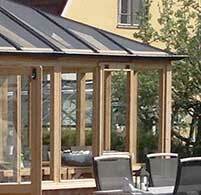 Our technical team are more than happy to help with drawings and specifications. 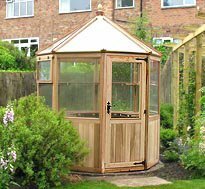 Contact us on 01889 562610, or drop us an email with your requirements to greenhouses@wpjuk.com and we can work with you to ensure that your requirements are met. 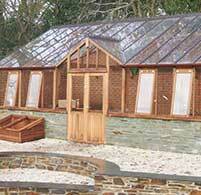 The most common method when preparing a foundation is to lay paving slabs or concrete. 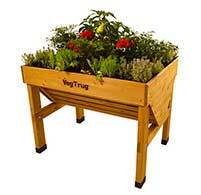 This provides a good hard surface on which to stand pots, tomato grow bags, compost sacks etc. 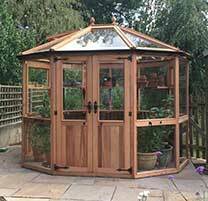 We sit the greenhouse on a 15mm foam membrane and drill down into the base so that the greenhouse can be firmly secured. 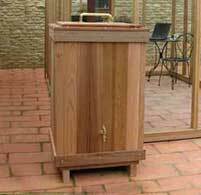 The foam prevents the timber from sitting in any lying water, whilst allowing any water from watering your plants to run out of the greenhouse if necessary.When preparing a slab or concrete base, it needs to be firm and flat and with a 2″ perimeter the external dimensions of the greenhouse (which can be found on the relevant page of our website, or which we can send to you). 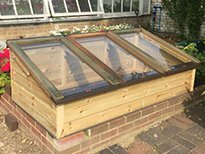 This gives us 2″ either side of the greenhouse,so that when we drill down, we are not too close to the edge and there is no risk of damage to your base. The examples below show ideal flat bases.Using existing old slab bases -Please ensure they are flat, firm, level and bedded down. 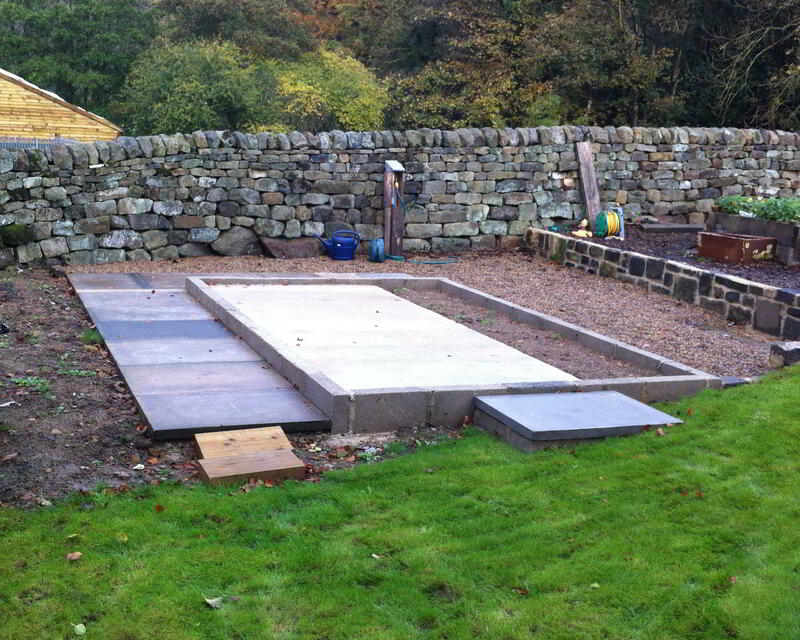 The slabs should be cemented underneath and not just in between. 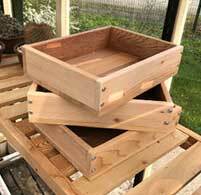 It is very important you check the base is level in all areas, (front to back and side to side). 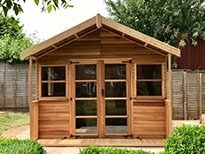 You will need to use a spirit level and maybe a piece of straight timber if the base is large or your spirit level is small. 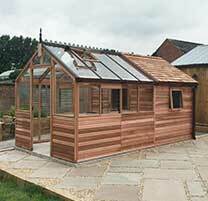 Example slabbed base for a Cedar Greenhouse. 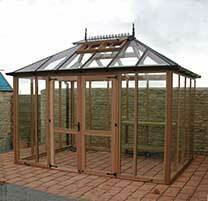 Example concrete base for a Cedar Greenhouse. 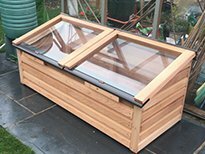 This solution is a good idea if you are planning on growing things in soil beds in your greenhouse, as it means that the greenhouse is raised off the ground and on a firm base, whilst allowing for exposed earth inside. 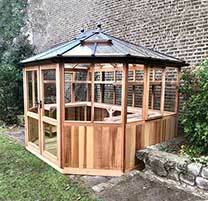 When preparing a plinth, it should be made so the external dimensions exactly match those of the greenhouse (our technical team can supply these measurements for you). 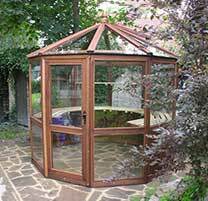 Many people choose to lay slabs or concrete in part of the base, for example down the centre or down one side, to make working inside the greenhouse easier and tidier. 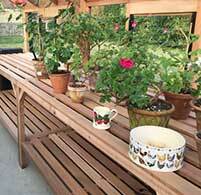 Also gravel can be laid over the bare earth to allow drainage. 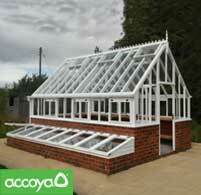 Build a brick plinth to our external dimensions of your greenhouse chosen. 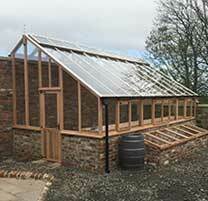 The plinth must extend around the complete footprint of the greenhouse and also include the door way. 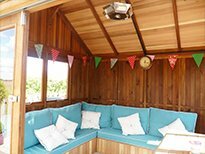 A dwarf wall is both aesthetically pleasing and increases the insulation of your greenhouse, so is ideal if you are planning to grow frost-sensitive species. 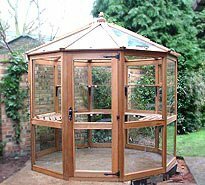 Once you choose your size of greenhouse, have the wall built as closely as possible to the size that has been quoted for. 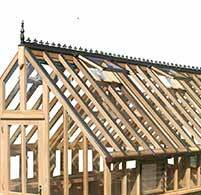 We allow a tolerance of 0-70 mm to accommodate different sizes of bricks, mortar joints etc. 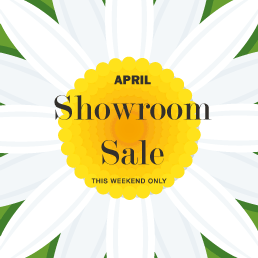 Once the dwarf wall has been constructed we will ask you to forward the external sizes of your wall with height and width at the doorway to us. A concrete surround acts in the same way as a brick plinth. 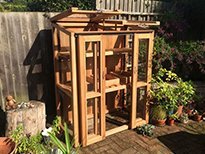 You should build your concrete surround with a 2″ perimeter around the external dimensions of your chosen greenhouse and make the surround 10″ wide. 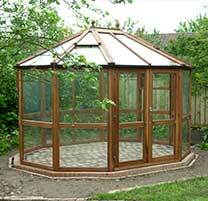 A concrete or slabbed base can be built exactly to the sizes stated on the relevant greenhouse web page. 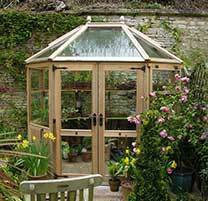 For concrete pad and slabbed bases, we recommend allowing 50mm extra to the outside dimension of the greenhouse. This should be firm and flat, like the rectangular slabbed and concrete bases shown above. 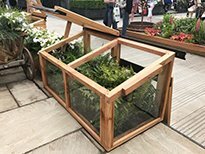 A concrete plinth which leaves the earth inside is also suitable: produce a concrete “ring” which is 10″ wide, with the external dimension being 2″ wider all the way around than the external greenhouse dimensions. 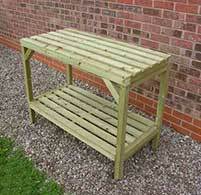 An example of an inadequate slab base. 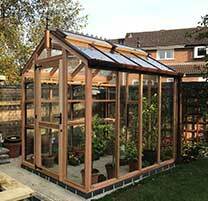 The loose slabs and uneven surface mean that we cannot secure the greenhouse down and there is the risk of the door being unable to lock because it is out of line. 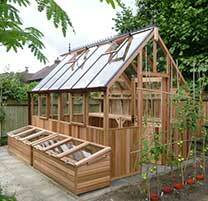 Also, uneven bases mean that the greenhouse is susceptible to leaks and movement, which can damage the timber. 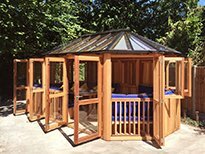 Our technical team are happy to advise you on base preparation, so if you are in doubt, please give us a call on 01889 562610. Whether you choose a paving slab, concrete pad, existing old slabs, brick plinth or dwarf wall it needs to be firm, flat and to the correct size. 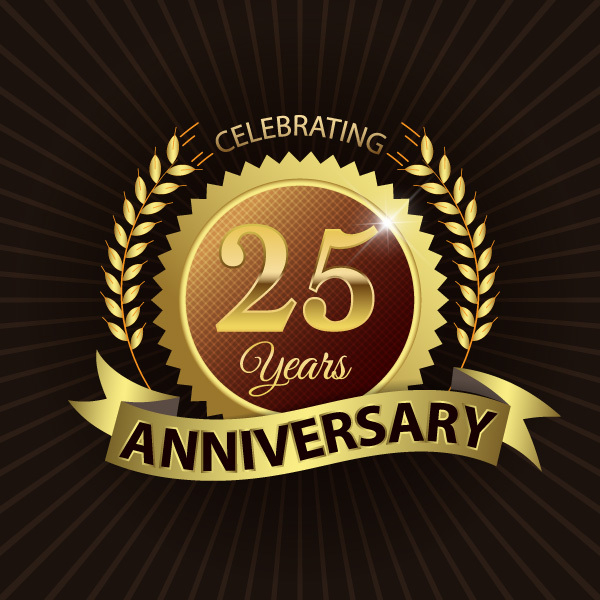 Our technical team are here and more than happy to help with any advice you may need. 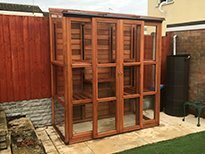 To avoid dissatisfaction please BE AWARE that if our installation team are unable to perform the greenhouse installation and we need to return, due to the base failing to meet our requirements, regrettably a surcharge may be made.